We partnered with the largest Information Technology Suppliers in the ANZ and created an enterprise grade solution for IT Resellers to streamline business and synchronize data for day to day operations. 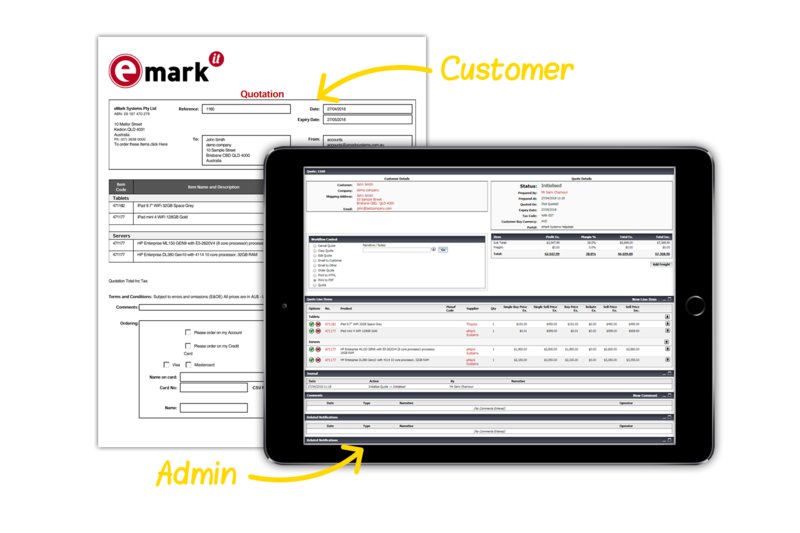 eMark Systems business platform brings your entire organisation and all its day to day operations together in one place. Connect, Engage, Prepare, Optimise. Quote IT combines supplier datafeeds from the largest suppliers in the ANZ region and gives customers the ability to create stunning quotes. Email them directly to customers and allow client real-time collaboration. Integrate your Accounting software or 3rd party systems and create streamlined processes, efficiencies and single point of relational data. We take your customer specific datafeeds from all the major IT Suppliers in the ANZ region and deliver it directly into your SQL database. There are over one million product and price feeds updated from distributors and vendors that are handled every day. 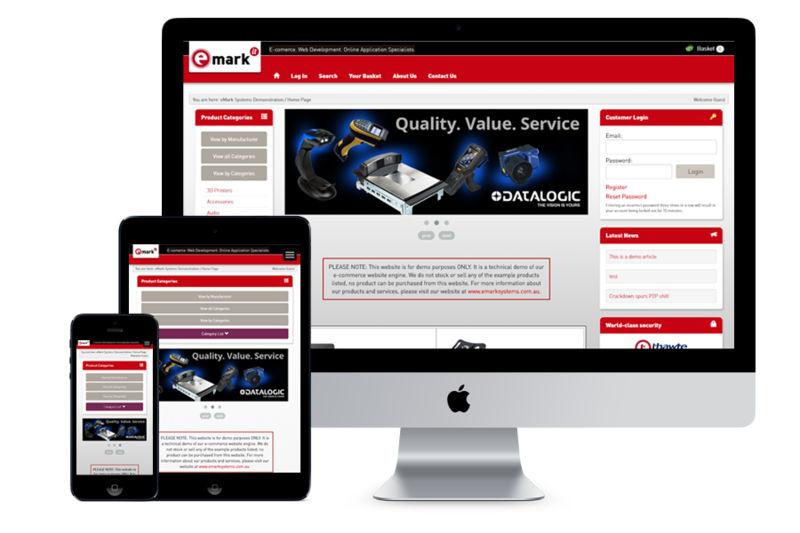 The eMark Systems platform has the ability to support multiple portal front-ends allowing for B2C and true B2B integration. 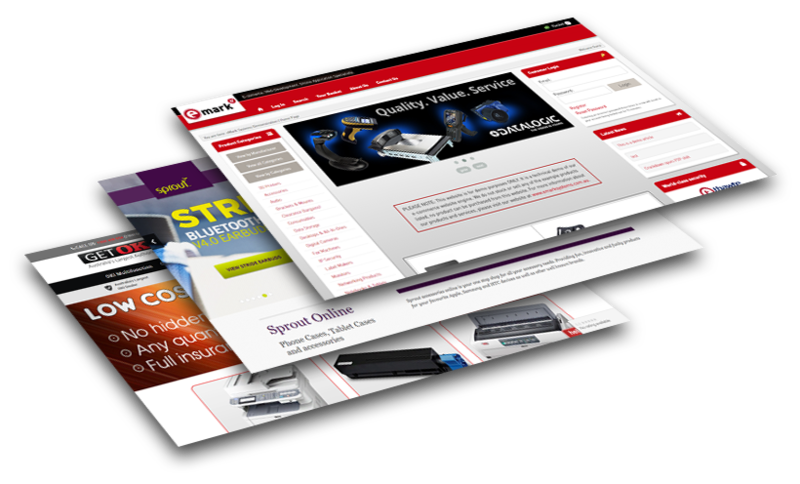 BYOD Portals, procurement portals and service portals are all available from the one database. 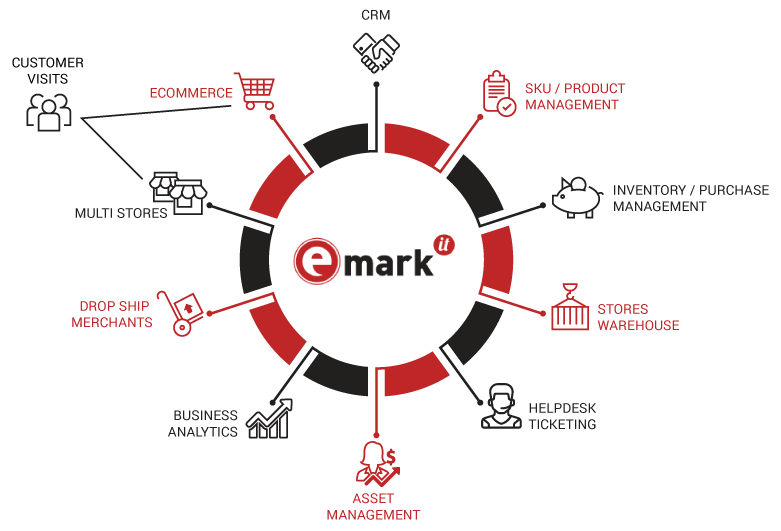 Step up to the next level with the eMark B2B solution for complete synchronisation of all elements of your business. 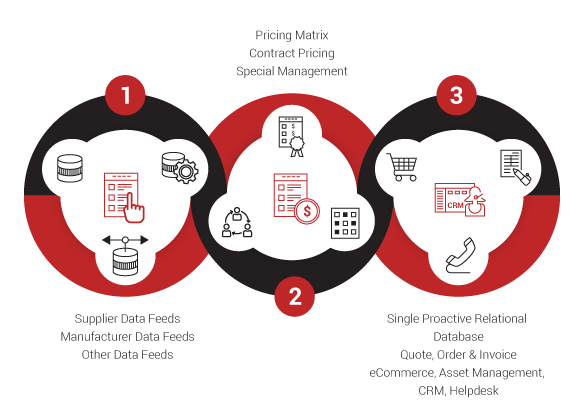 Automate, sales orders, inventory control and 3rd party systems to name a few.